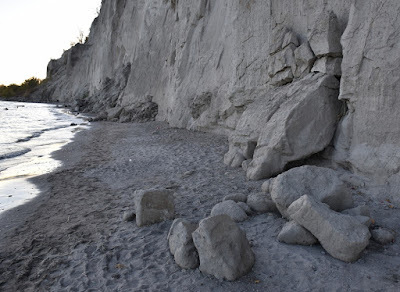 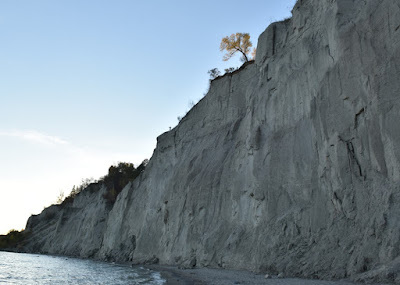 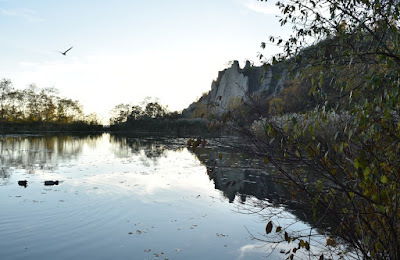 Lake Ontario has left a path at the Scarborough Bluffs which allow you to walk along the waters edge under the massive wall that is perched so precariously that your every step seems a miracle against gravity and relatively slow affect of erosion. 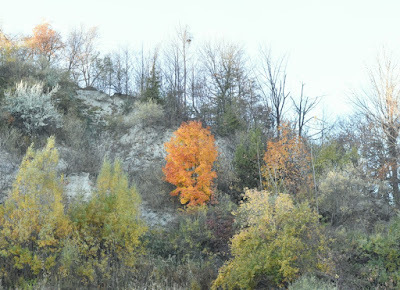 Fall colours still remain along the exposed grey cliffs and the drive down the roadway to Bluffer's Park is magnificent. 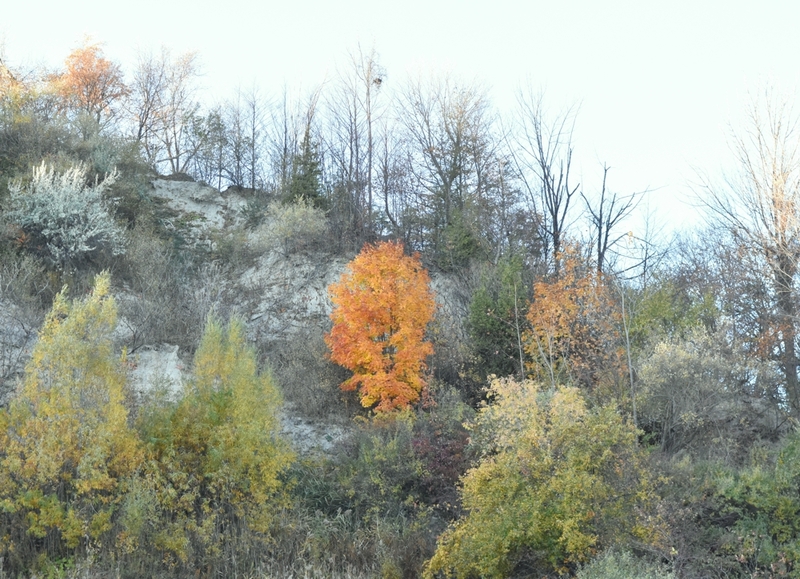 Forest floors are covered in a thickening blanket of fallen leaves as cooler temperatures continue to hound us on the journey to winter. 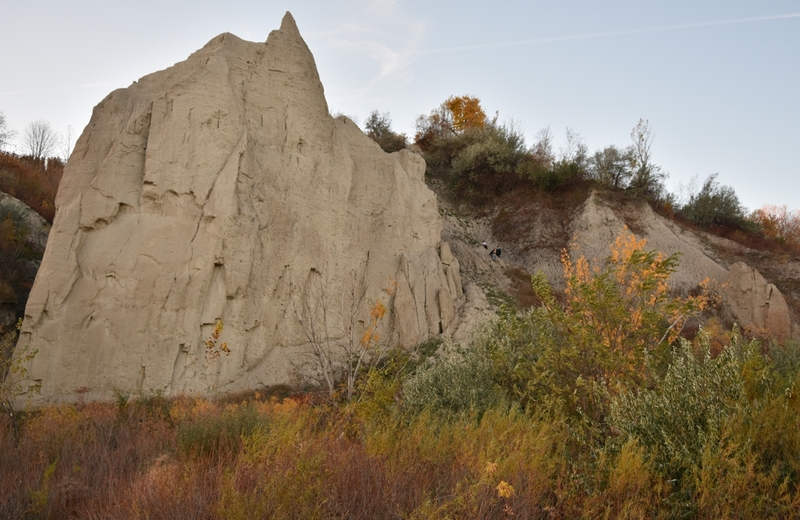 Down at the floor of the park along the footpath telling people not to climb the bluffs. Other signs are posted warning of heavy fines if caught. 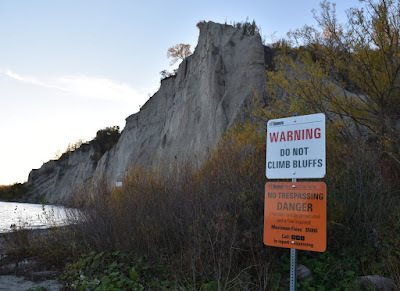 It doesn't stop people, the steep walls usually keep people off the slopes more than signs ever will. 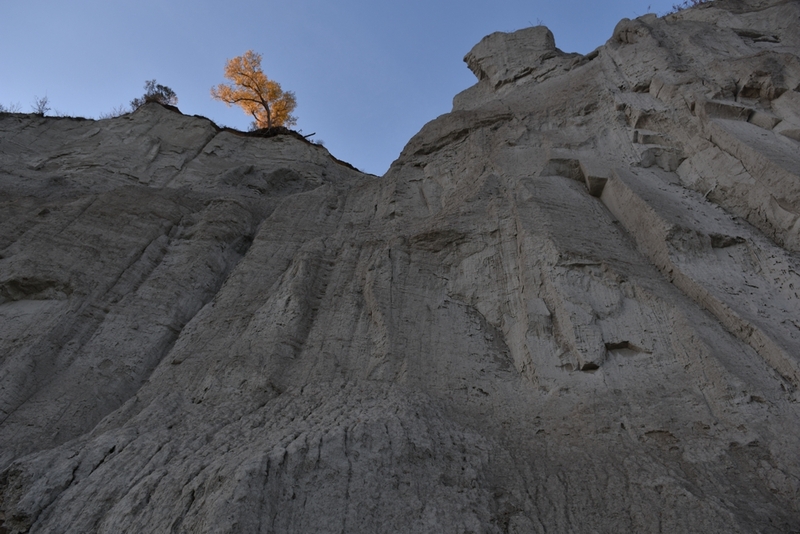 Along the top of the bluffs brave and foolish people wander close to the precipice which is weakened by erosion and waits for just a little more something, like wind or water, before another piece of grey silt and clay deposited and crushed under glaciers, lets loose and crashes to the ground below.